When that first warm breeze rolls in, we get out. Get out of the house, get out in the summer clothes, and get out of town to the South Strand where spring means business. 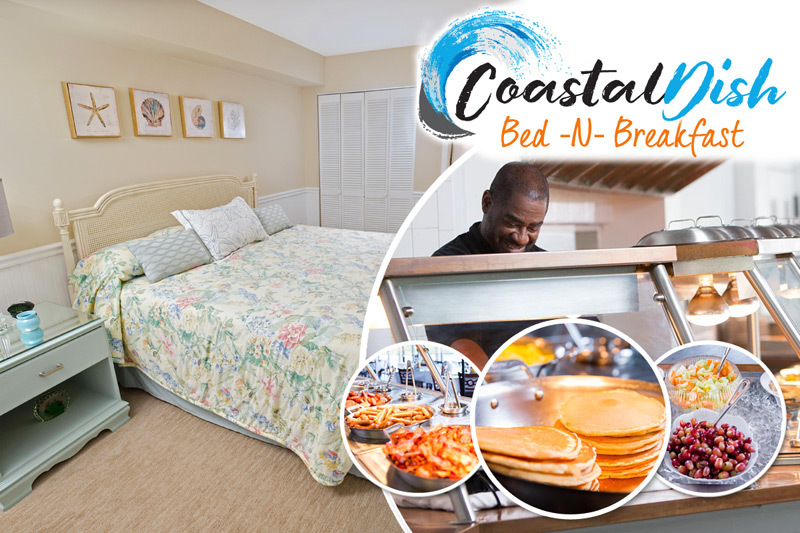 The best place to enjoy this most invigorating season is the world-renowned Brookgreen Gardens, right in Litchfield Beach & Golf Resort’s backyard. With its abundant acreage of spectacular flora, impressive art, and delightful zoo and aviary, Brookgreen is a pleasure to visit year round. However, spring is its Super Bowl, so to speak, with the grounds coming to life in a show of magnificent colors and shapes. What to expect this spring at Brookgreen? Read on. Seasonal blooms: Not surprisingly, spring is the season that features, far and away, the most in seasonal growth and spectacle. Among the flowers, expect to see: daffodils, columbine, amaryllis, iris, hardy orchids, daisies and more. In the way of shrubs, you’ll enjoy: azalea, rice paper plant, roses, banana shrubs and others. Trees include flowering dogwood and weeping flowering cherry. And in the vine department, check out the fragrant Carolina jasmine, the winding Evergreen clematis and the romantic, draping lavender wisteria. For a full list of what to find, click here. Activities: All of April, the garden will remain open until 8 p.m. This is the reason we suffered through all those harried “spring forward” mornings after Daylight Savings — more time in the sunlight to enjoy Brookgreen. Care to learn more about our extraordinary Lowcountry? Wednesdays starting in April through November will feature free (with admission) Gullah Program lectures about the language, customs, history and cuisine of the Gullah Geechee people. Events: Whispering Wings Butterfly Exhibit opened on April 1, which if you’re from the north, is waaaaaaay earlier than you’d expect to see butterflies at home. Gorgeous tropical plants serve as landing pads for hundreds of magnificent butterflies, in addition to a dedicated “pupae emergence room” where folks can watch adult butterflies break free from chrysalis. The exhibit is open daily for a small upcharge on top of regular admission. On April 22, Brookgreen will celebrate Earth Day with its Environmental Impact Forum. Learn about area businesses, organizations and solo champions of green living and what they have done to protect and preserve the fragile and beautiful ecosystem in which Brookgreen thrives. The forum begins at 3 p.m. and is free with admission. Still looking for something to do this weekend? The annual (and extremely popular) Plantacular Sale on Saturday and Sunday, April 11 and 12, will enthrall you. Even if you flew to the Grand Strand and have no means of transporting plants back home with you, it’s a feast for the senses and worth seeing. For those looking to do more purchasing, staff and volunteers and helpful and knowledgeable about the incredible selection of quality plants, grown in Brookgreen’s very own greenhouses, that will be the highlight of any home garden. The early bird definitely catches the, uh, plant in this case, so prepare to arrive right when it opens. For a partial list of plants for sale, click here. Coming up in May, gourmands will delight in cooking demonstrations, wherein guests can watch the preparation of, and of course, dine upon the three-course finished product prepared by Brookgreen’s chef. Learn about healthy food prep and get all of your questions answered (in addition to enjoying a fantastic meal) each Tuesday during the month at 4 p.m. Tickets are $40 for members and $45 for nonmembers. Reservations required. On May 23-35, enjoy the Red, White and Blue Salute to Veterans. The grounds will feature flags denoting patriotic sculptures, or those created by veterans. On Sunday evening, May 24, athletes will revel in the opportunity to run a 5k or one-mile race on the gorgeous grounds at dusk. The race starts at 5:30 and registration includes a pass to the gardens to use at a later date. Only 400 runners will be admitted, so contact mike@festivalpromos.com ASAP to reserve your spot. Lastly, starting May 9 through July 26, enjoy both Carolina Roots: Works by Sigmund Abeles and Grainger McKoy and Antebellum Waccamaw: Paintings and Drawings by Emily Esdaile Weston — free with garden admission. For more information on upcoming events, check the calendar and home page for announcements. 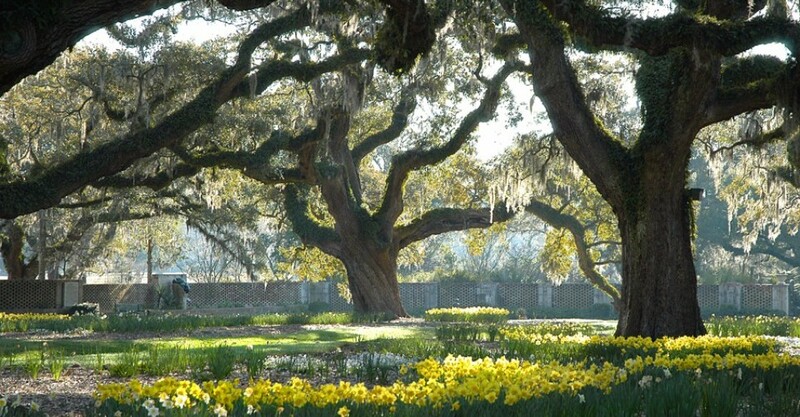 What’s your favorite thing to do or see at Brookgreen in the spring?